Who can list Debt Securities on GSX? All debt securities seeking admission to the Main Market must in addition publish a prospectus that has the prior approval of the Home Member State and complies with the EU Prospective Directive. GSX has published a Prospectus Handbook for Debt Securities, which to help prepare the prospectus. What types of Debt Securities can be listed? The Listing Code for Debt Securities allows for the listing of the following: bonds, asset-backed securities, and derivative securities. Please refer to the Listing Code for Debt Securities for formal definitions, restrictions, and criteria. Why should I list my Debt Securities on GSX? Listing debt securities on the Main Market with a prospectus drafted in accordance with the Prospectus Directive may provide companies with a number of advantages, including full passporting and promotional rights to professional investors throughout the EU, and UCITS eligibility. The Gibraltar Stock Exchange’s Main Market is also recognised by HMRC under the Income Tax Act 2007. Securities listed on the Main Market are eligible for the UK SIPPs and ISAs market. Can you provide some practical examples of listing debt securities? How do I list my Debt Securities on GSX? Applicants must first appoint a Member Firm which is qualified to list debt securities (Class 2) and is responsible for dealing with the Gibraltar Stock Exchange on all matters relating to the application, listing, and continuing obligations of the debt securities. In addition, in order to seek admission to the Main Market applicants must prepare a prospectus that complies with the Prospectus Directive. On both of these matters, please contact GSX directly or a Member Firm. How long does it take to list Debt Securities? GSX understands that speed is important for issuers bringing debt securities to market. GSX guarantees turnaround times on its review of your application enabling you to plan your listing with certainty. Review by GSX and the Listing Authority. For both Main Market and Global Market listings, your documents are reviewed by GSX initially. Comments are returned within 5 business days on the first submission and 3 business days on any subsequent submission. Final Submission. Once comments are cleared, for Main Market listings GSX will submit the final prospectus and listing documents to the GFSC (Gibraltar’s regulator) for approval, which has a further 5 days in which to raise any final issues. For the Global Market, listings will proceed to approval internally. Approval. GSX will inform the Member Firm when the prospectus is approved by the GFSC (Main Market) or GSX (Global Market) and that the securities are ready to be admitted to listing. Publication. The approved prospectus (Main Market) or Listing Particulars (Global Market) is published by the GFSC / GSX respectively. The securities are included in the Official List. Announcement of admission. 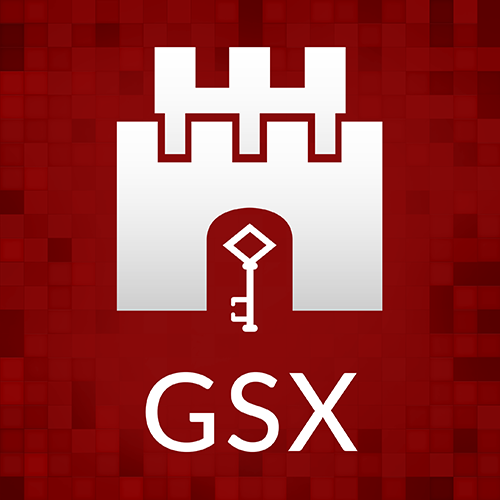 GSX announces the admission of your securities to the relevant market. How much will it cost to list my debt securities on GSX? The fees charged by GSX’s fees and our Member Firms in general are highly competitive. This makes the overall listing process very cost effective. Full GSX fee details can be found in the Fees section of the website below. See 'Main Market' Members section for member details. ©GSX Limited. All rights reserved. GSX Limited is authorised and regulated by the Gibraltar Financial Services Commission (FSC) under license number FSC1231B.